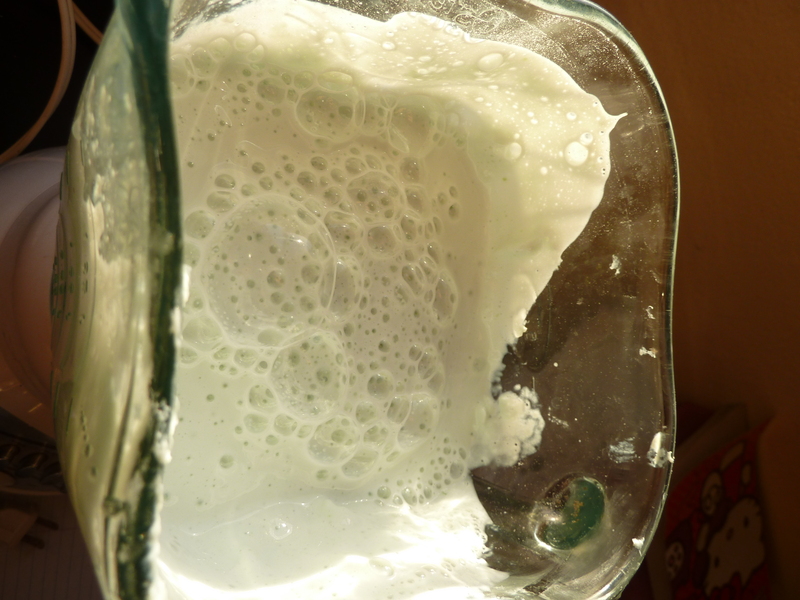 Did you know you can make your own liquid soap? It’s really fun and easy! It’s almost like baking something, except you skip the oven part. I wanted to make a more natural soap for my family to use, because a lot of the soaps and cosmetics out there are full of chemicals that can affect your health in the long run. I bought a bar of natural soap from a health & veggie market. 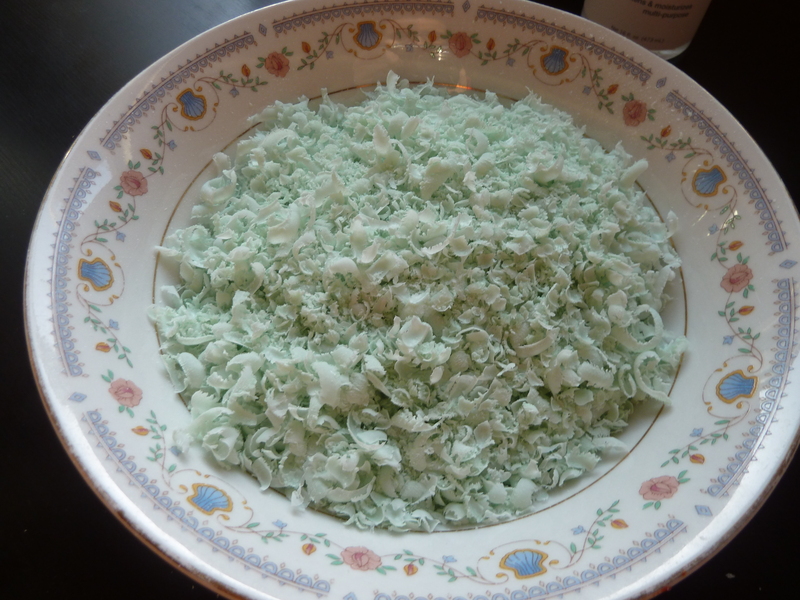 So follow me on my journey to simple soap making! My ingredients all ready for action! 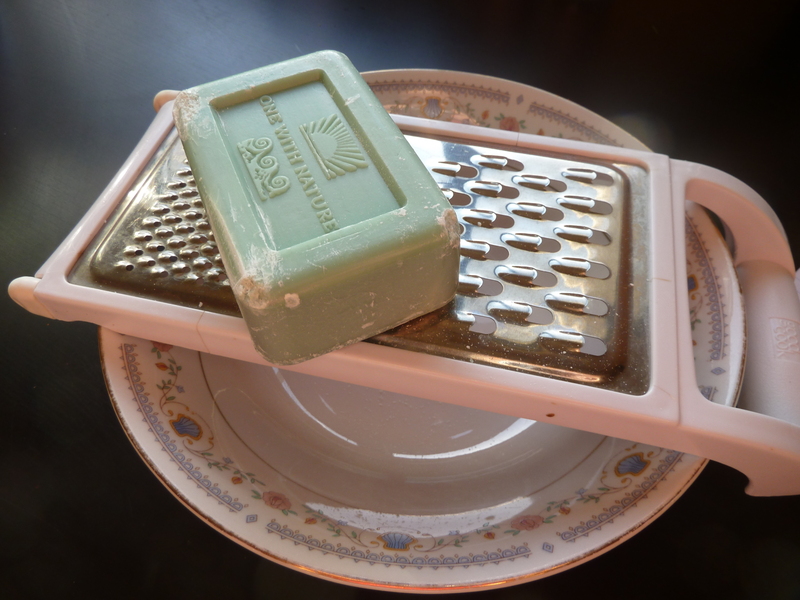 First, grate a bar of natural soap. (You’ll need some muscle and patience for that)- AND careful with the fingers! 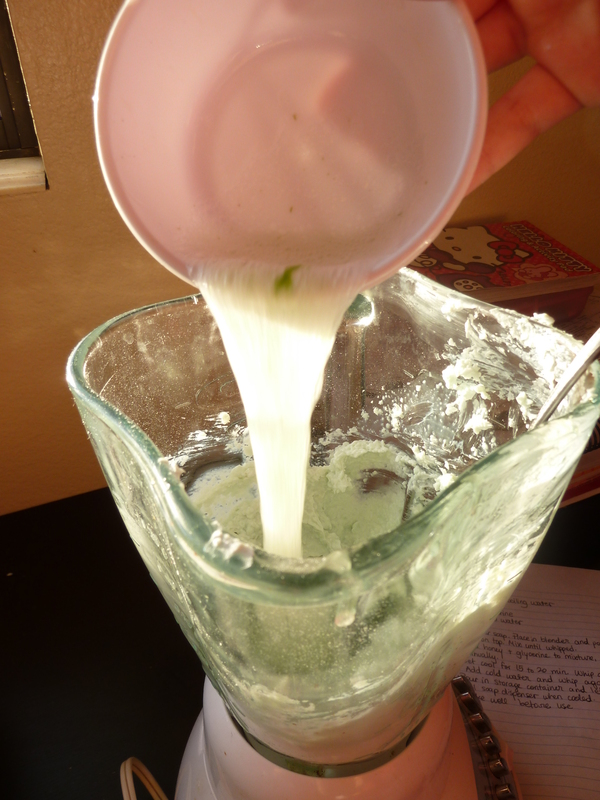 Put the grated soap (half of it, if your soap is as big as mine) into the blender and pour the boiled water on top. Blend for 5 seconds. It should look a bit more liquid than what I have here, but it’s okay. 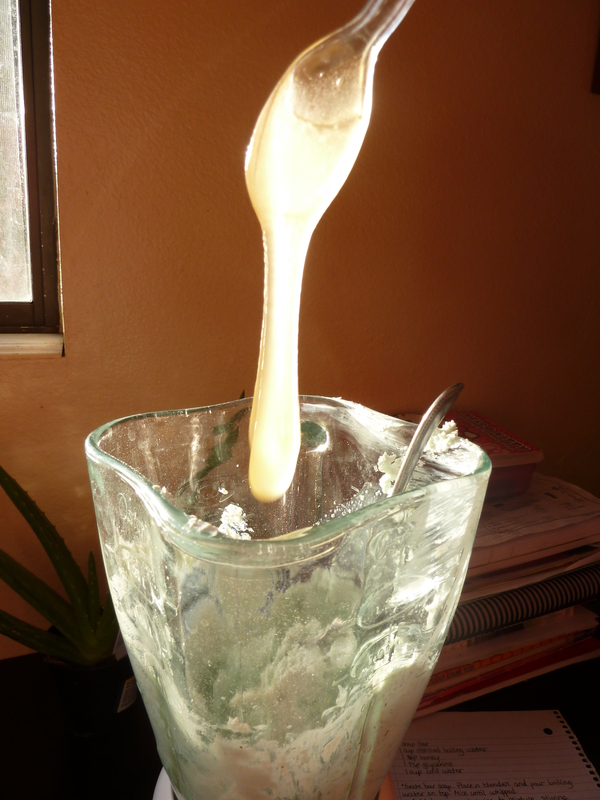 Add one tablespoon of honey to the mixture. 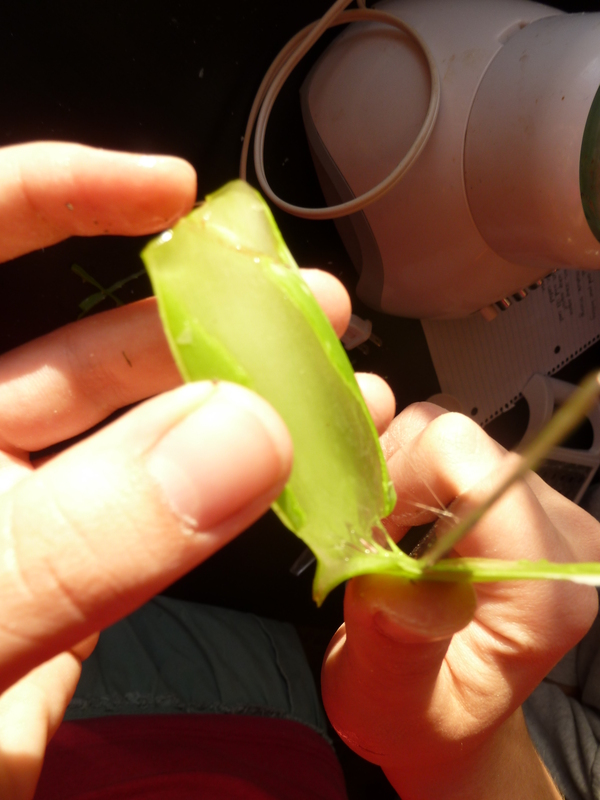 Take out the pulp of the aloe leaf, and blend with a bit of water. 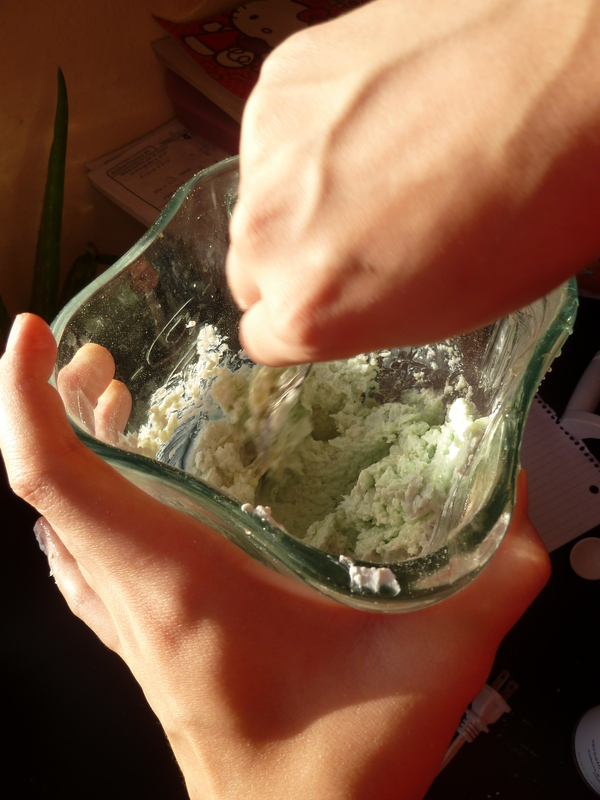 Then pour it in the mixture. Add the 20 drops of essential oil. Then mix all of it with a spoon. 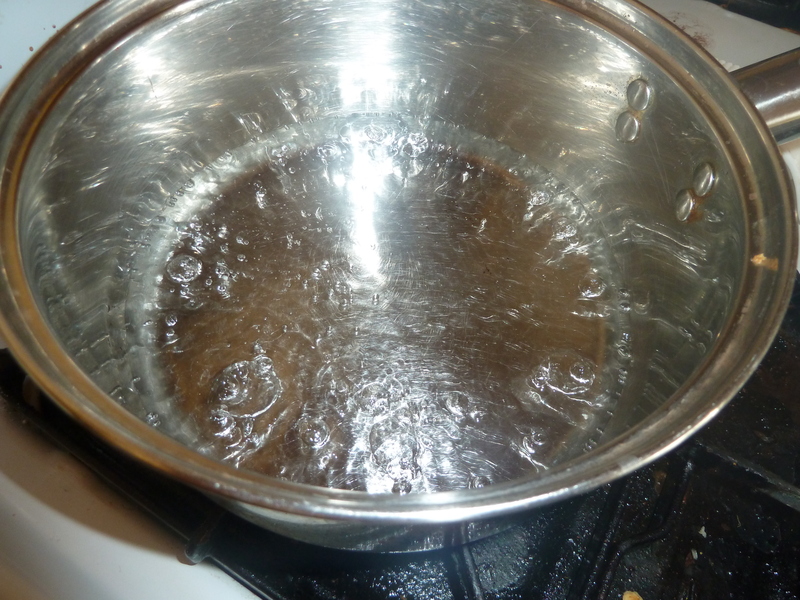 Then add 1 cup of cold water on top and blend for 2 seconds. It should start looking like liquid soap by now. 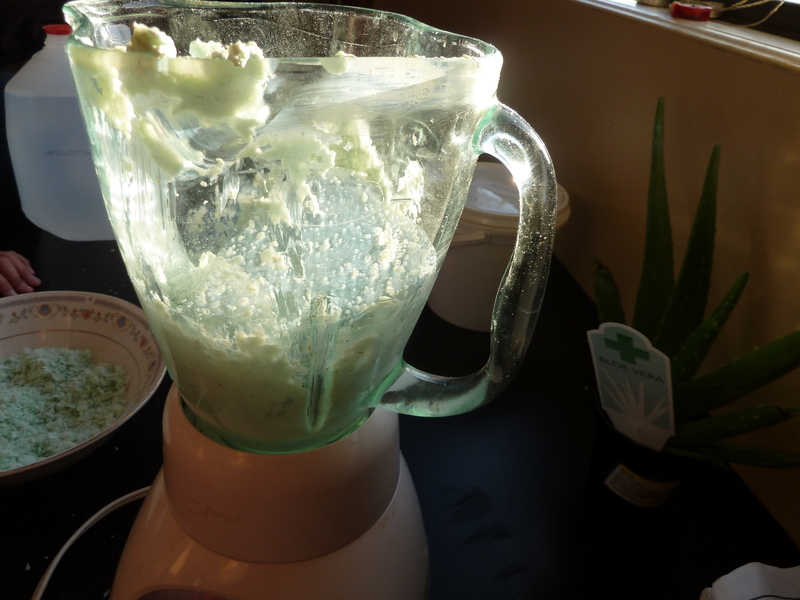 Mix the bottom with a spoon to make sure everything is blended well. 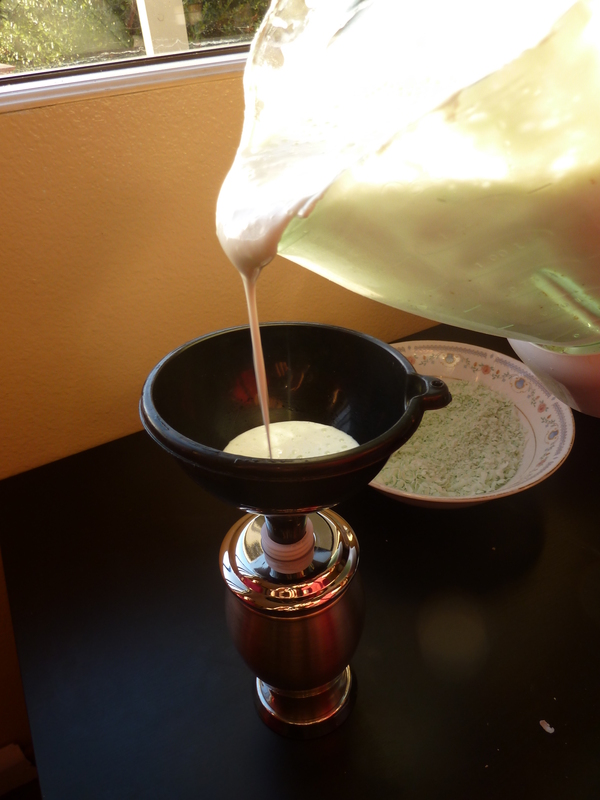 Finally, use a funnel to pour in a soap dispenser. And voila! You have liquid soap! 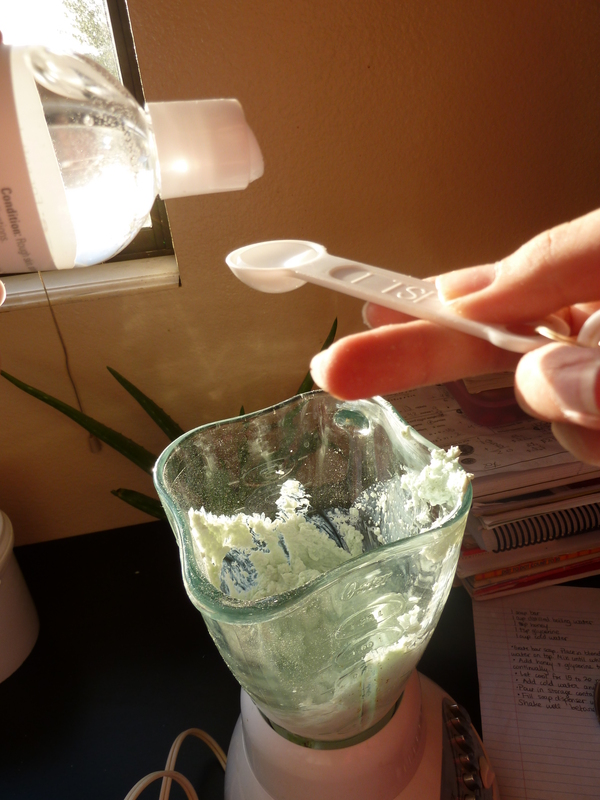 Store the rest of the soap in a larger container. 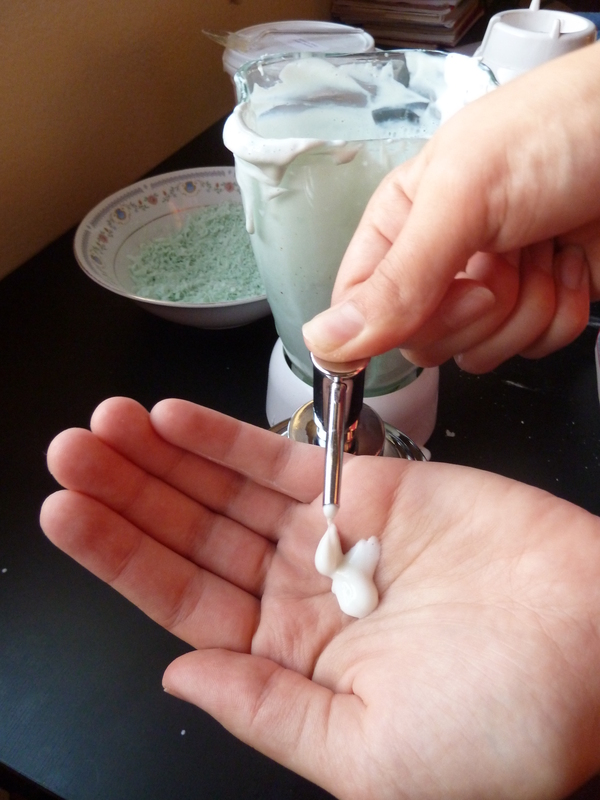 I’m sure your family will enjoy washing their hands with your home-made liquid soap! It could even make a nice Christmas present for a friend! That would make a great Christmas present. Great recipe! 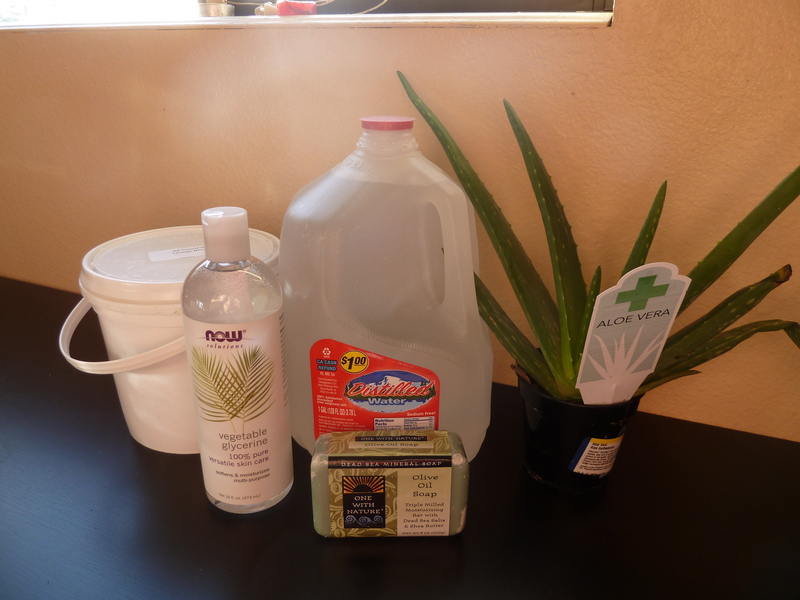 Thanks for linking up to Healthy 2Day Wednesday!